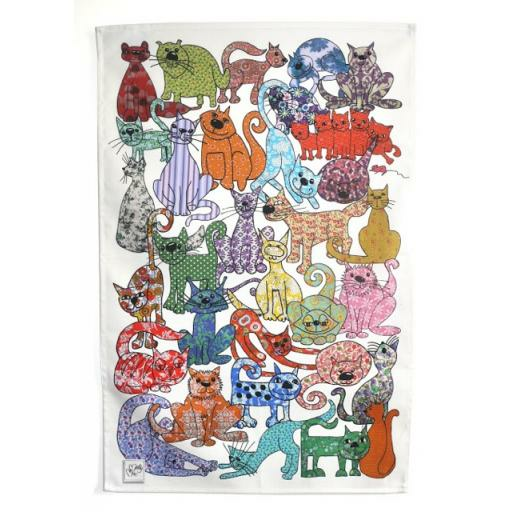 Cat tea towel. 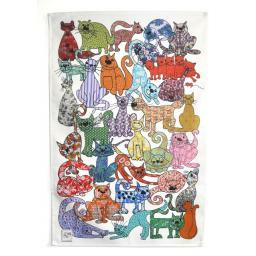 High quality tea towel designed by MollyMac. 100% cotton half panama, printed with pigment inks. Sewn with a loop and care label. Designed and printed in the UK.